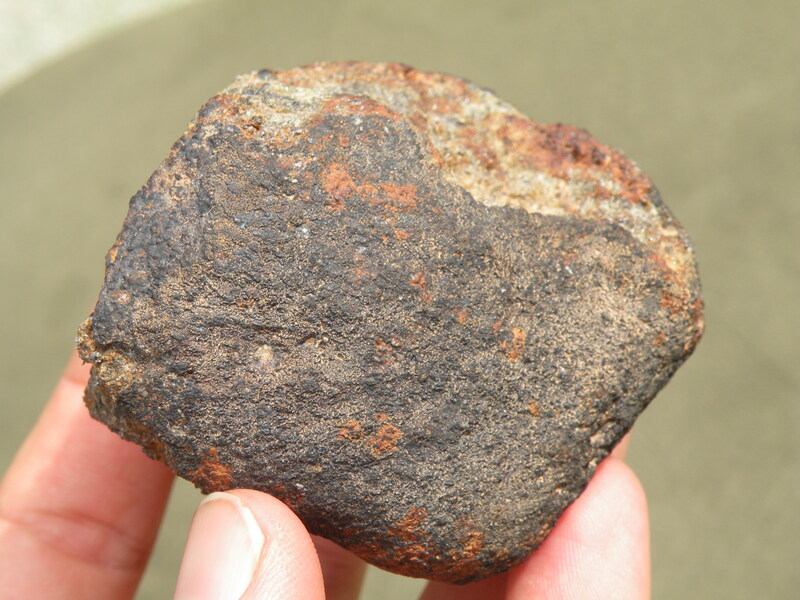 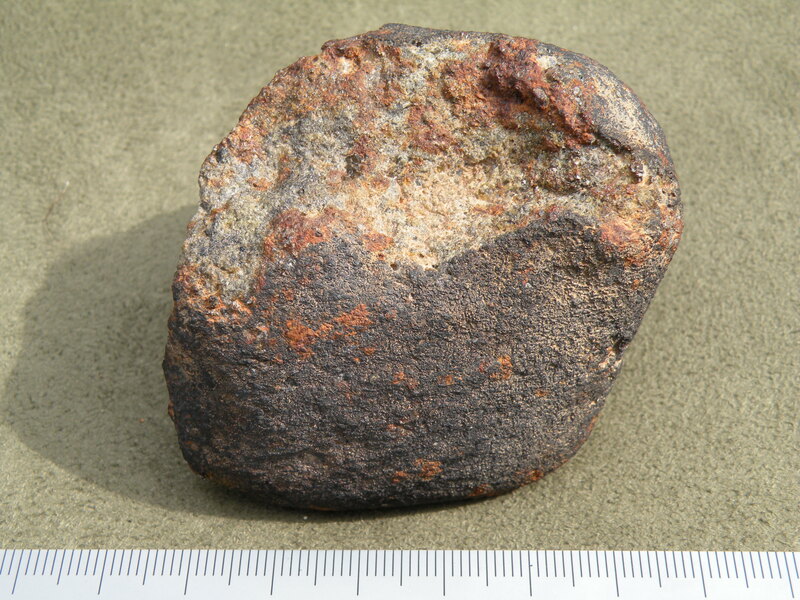 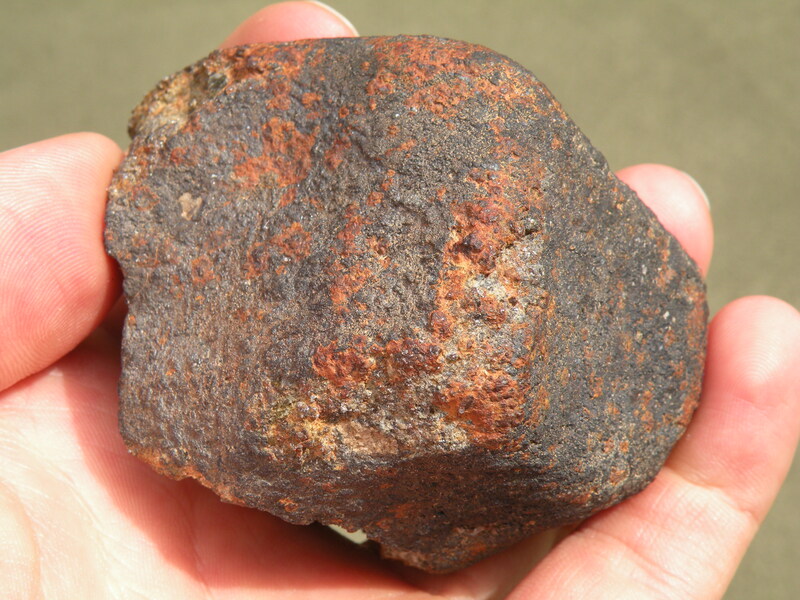 This find consisted of a fresh, oriented 331 gram mostly complete stone. 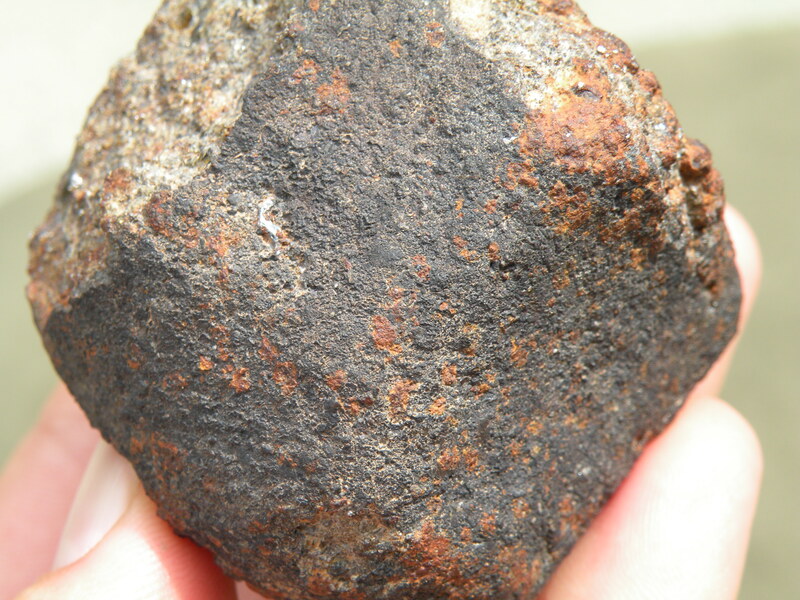 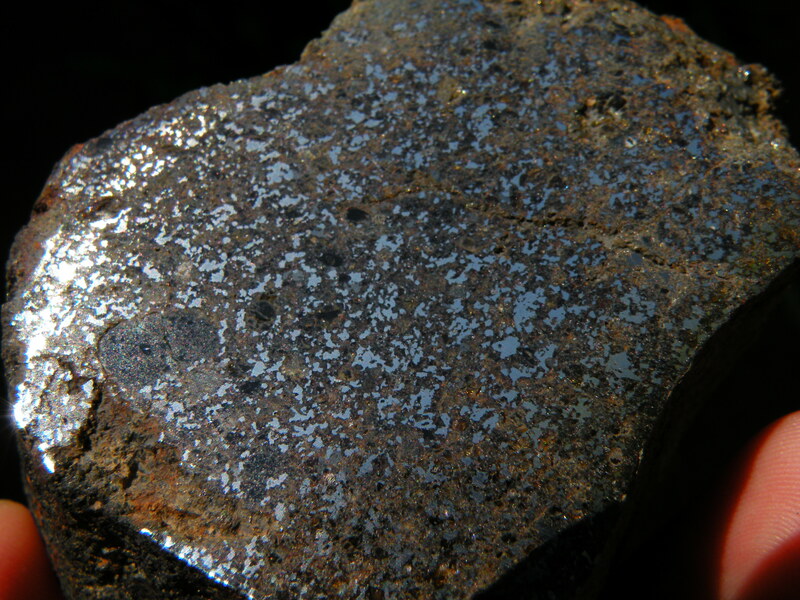 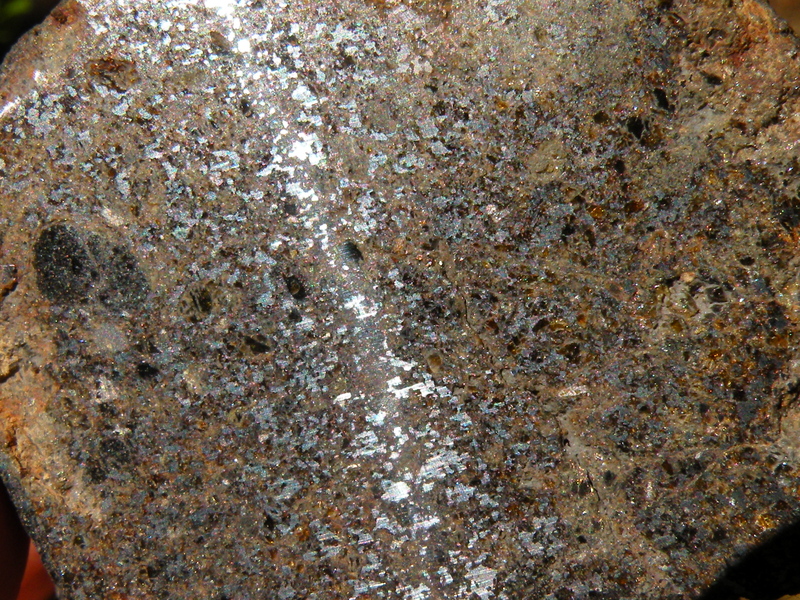 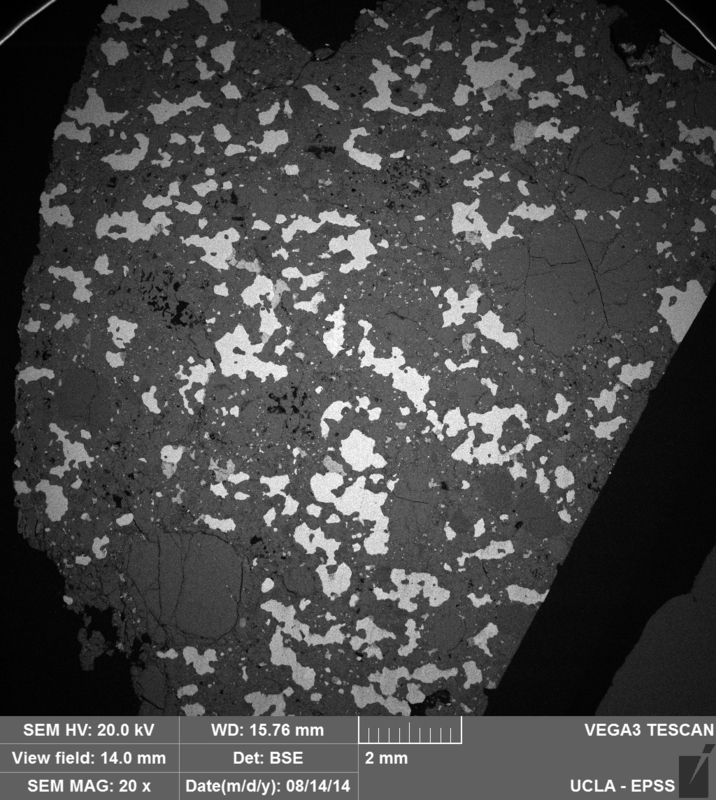 Abundant olivine and pyroxene crystals are visible on the surface, as well as fresh metal. 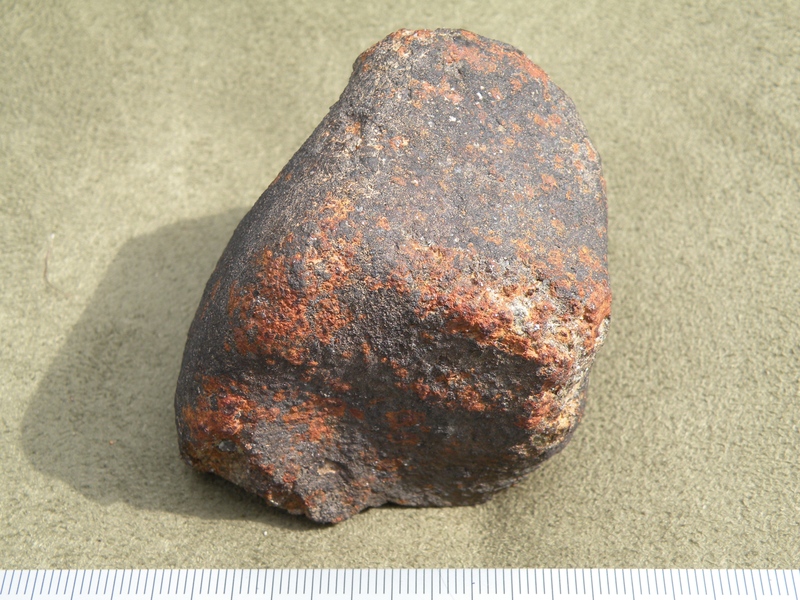 The main mass weighs ~320 grams.